Brother Mobile Solutions (BMS) is a wholly owned subsidiary of Brother International Corporation, and is backed by a long history of superior quality, trusted reliability, and proven performance. 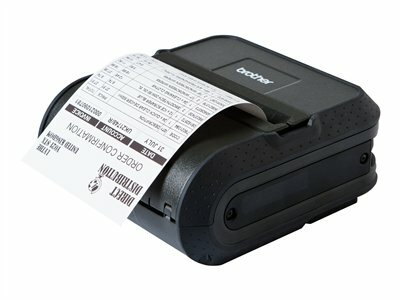 The mobile printers and mobile and desktop labeling solutions that BMS offers are no exception to the Brother worldwide reputation for excellence. However what really sets BMS apart in the world of mobile printing and labeling is our exceptional "out-of-box" experience, innovative custom solutions capabilities, and world-class service program. From manufacturing operations to industrial warehouses, Brother provides mobile, wireless, on-demand label and receipt printing solutions for a wide variety of industrial applications. Easily and wirelessly print labels, paper documents, or durable thermal labels in a variety of industry standard sizes and colors from PCs, handhelds, tablets, and smartphones. From utilities service to general contracting and maintenance, Brother Mobile Solutions provides dedicated mobile printing and labeling solutions for your on-the-go workforce. Whether you require full-page documents or durable labels and tags, we have the right solution for your specific need. First responders and public safety professionals require fast, reliable mobile printing solutions that keep them focused on the job, not the technology. Brother mobile printing solutions handle the wide variety of citations, tickets, reports, and evidence labels you need. Wired and wireless options are available, in sizes and mount configurations designed for in-vehicle and carry scenarios. Boost operational efficiency at checkout, on the sales floor, in the aisle, and in the warehouse by printing the labels, receipts, and tags you need when and where you need them. 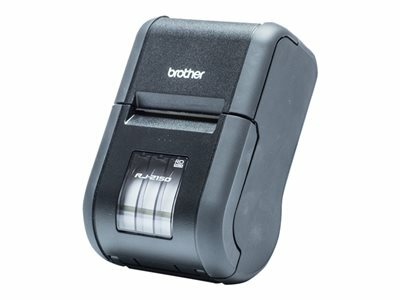 It's easy with Brother mobile printers. Their mobile printer lineup includes wireless, compact, ruggedly mobile printers and labelers, in sizes and configurations that integrate with practically any device or operating system. From the register to the aisle to the warehouse and beyond, Brother has the printer for you!